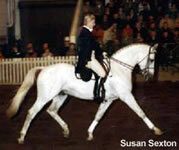 The following is a list of ATA Stallions who have stood in North America over the years. Many are deceased but stallions that have been gelded, retired, are inactive, or are no longer approved may also appear on this list. Anyone wishing to contribute additional details about these stallions or their offspring are encouraged to contact the webmaster. As always, photos of any of the following individuals would be greatly appreciated. Each stallion's Reg # indicates where the stallion was born. An "A" indicates born in the United States or Canada (OSB-A-S000). An "E" indicates that the horse has been imported (OSB-E-S001). 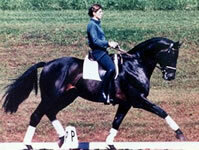 Reg #s beginning with the "GRB" prefix indicate that the stallion was approved by the NATA prior to the Reunification. 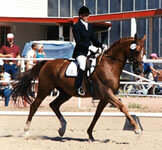 The Reg #s which are followed by an "R" (OSB-A-S002R) indicate that the stallion had restricted status. 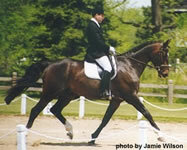 Only the foals by these stallions that are out of purebred Trakehner mares without a Thoroughbred, Arabian or Shagya parent are eligible for registration with the ATA.